The machine is near exit of museum in the gift shop.. No admission fee to press pennies. 51 cents. Hand crank. Three designs. It is owned by the museum and has been in place since about October. Museum is easy to find as main business district of Wamego is two blocks long. 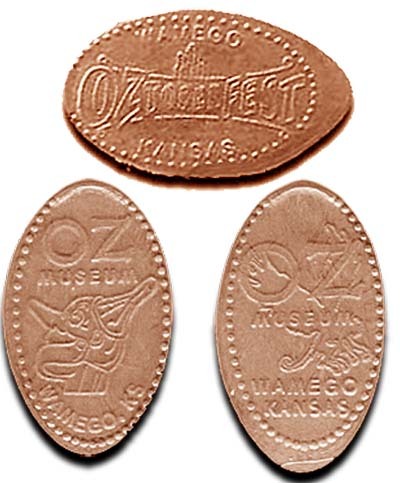 1) Oz Museum logo with the tin man under it. thegillion added Oz Museum to system.